Gilgit-Baltistan is spread over an area of 27,184 square kilometres with a population of approximately 15 lakhs. Strategically, Gilgit-Baltistan has great importance as it share borders with China on the northwest. While Afghanistan and Tajikistan are connected through the Wakhan corridor and on the south lies Indian Occupied Kashmir. Gilgit-Baltistan is surrounded by the mountain ranges of Hindu Kush in the west, the Karakoram in the north and northeast and Himalaya in the south. According to the June 3 1947, partition plan, all princely states were free to join one of the dominions; Pakistan or India. It was clarified that while acceding to any dominion they could take into account their geographical location and the wishes of their people. In the case of Jammu and Kashmir, the people favoured accession to Pakistan, however this was not implemented. On October 25 1947, India sent troops to Kashmir and on October 26 1947, the state of Jammu and Kashmir acceded to India. There was a revolt in Kashmir by Muslims due to the Maharaja’s decision to join India and the Free Kashmir government was established by Sardar Ibrahim, in Poonch. 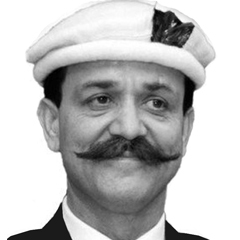 On August 1 1947, the entire Gilgit-Baltistan was handed over to the Maharaja of Kashmir and Brigadier Ghansara Singh was appointed as the governor of Gilgit agency. This decision was contrary to the wishes the local people; as the entire population was pro Pakistan. There was a whispering campaign for Pakistan in GB and there were rumours that scouts will revolt. According to Major William Brown Commandant of Scouts; a group of scouts gathered in their recreation room and a resolution was passed that the Gilgit agency must accede to Pakistan and that they will never serve under a Dogra governor. In Gilgit, pro Pakistan slogans were in the air, and walls were chalked with statements such as; “Pakistan Zindabad”, Hindustan Murdabad” “Kashmir ka Maharaja Murdabad”. Slogans were even chalked on the governor’s house gate. Accordingly a coup was staged by the Gilgit Scouts in favour of Pakistan on the night of October 31, 1947. On the morning of November 1, 1947, the governor Brigadier Ghansara Singh surrendered to Gilgiti Scouts. Immediately after liberation, people from the Gilgit asked the government of Pakistan to take control of the agency. On November 16, 1947, Sardar Muhammad Alam arrived in Gilgit as the political agent and representative of Pakistan. On December 3 1947, a meeting was chaired by the residing prime minister of Pakistan, Liaqat Ali Khan in Rawalpindi who conveyed that Pakistan fully appreciated the vital importance of Gilgit and it would defend it at all costs against any aggressors. The brave people of Gilgit-Baltistan were able to liberate their land from Indian forces without any external help. The success was mainly due to their love for Islam and Pakistan. The people of Gilgit-Baltistan celebrate two independence days, first being August 14, the national independence day followed by November 1, when Gilgit-Baltistan was liberated with fervour and zeal. Recently in a television talk show comments made by Lt. General Amjad Shoaib (retired) and anchor Muhammad Malik fostered anger and regret across GB. The general should have referred to certain individuals from Gilgit-Baltistan; instead of referring to a specific area. People of Gilgit-Baltistan have always contributed to the defence of Pakistan by serving the armed forces of this country. Troops from Gilgit-Baltistan are considered some of the best soldiers in the world, who proved their mettle during the liberation war of Gilgit in 1948, and subsequent wars of 1965, 1971, the Siachen conflict, Kargil and War on Terror. Lalik Jan is known as the son of Gilgit-Baltistan, who was awarded the “Nishan-e-Haider” for his extraordinary bravery during the Kargil war. In the same talk show, the anchor Muhammad Malik also hinted at the conspiracy of creating an Ismaili state in the north. This is an utter misconception; that is being proliferated by religious extremists. The Ismailis in GB are some of the most tolerant, peaceful, educated and law abiding citizens of Pakistan. The grandfather of the present Agha Khan played a crucial role in the founding of the “All Indian Muslim League” in 1906, and he was the one who suggested this name and became its first president. The philanthropy of the Agha Khan foundation have benefitted the entire country, including GilgitBaltistan in the fields of education, healthcare, heritage and other sectors irrespective of one’s religious belief. It is unfortunate that falsehood is permitted in a fashion which paves the way for violence. The arrests made last year, due to possession of weapons and anti-state literature — was claimed by the police to be the doing of Indian RAW agents. Hence it is highly defamatory of analysts to accuse them of sedition against Pakistan. It is important that the rest of Pakistan is aware of the love that people from GB have for Pakistan; it is the patriotism that the rest of the country possesses. In this light, their issues should also not be brushed aside. All that these zealous nationalists want is a constitutional status, and complete merger with Pakistan. Their demand of wanting to be constitutional citizens of Pakistan is not unreasonable, nor is their desire for the fifth province of GB. The people of Gilgit Baltistan are completely loyal to Pakistan and all of them are willing to lay their life for Pakistan. There are no anti-Pakistan sentiments in GilgitBaltistan or a slogan against CPEC. The people of Gilgit Baltistan always say that “we are Pakistanis first, Pakistanis last and always”.